Learning how to needle felt with videos is fun, but live, hands-on needle felting classes is the way to go! I’ve been teaching this enchanting craft for nearly 10 years and am happy to offer needle felting classes in my home studio in the rural community of Cave Junction, Oregon. My studio is open weekly for felting workshops and private lessons can be arranged. join Kay for private needle felting classes in her home studio in southern oregon! Personalized sessions taylored to your individual needs. Bring your projects, your questions and your ideas! Supplies Shop open to students! Private Needle felting classes and tutoring sessions are scheduled by appointment for your convenience. Call Kay at 541-592-3499 or use the contact form for more information or to reserve your dates. Materials and the use of tools and supplies are included for all needle felting classes. Snacks and beverages are provided and you are welcome to bring your own. We are located in the rural community of Cave Junction in the scenic Illinois River Valley of southern Oregon, minutes from the Northern California border on Hwy 199 that runs from Interstate 5 in Grants Pass, Oregon to Hwy 101 at Crescent City, California on the Pacific Coast. The closest airports are in Medford, Oregon (65 mi) & Crescent City, California (45 mi) – CALL 541-592-3499 for address & directions. There are many inns, b&bs & resorts scattered throughout the Illinois River Valley but before booking, call Kay and discuss her recommendations. While you are here, you might as well plan on staying an extra day or two to take in some of the local sites. A guided tour through The Oregon Caves is a fabulous adventure and the magical Forest Moon of Endor (also known as the California Redwoods) is just a short and scenic drive away with the great Pacific coast just beyond. If you’ve never visited this part of the country before, I can guarantee you are in for a treat and we’ll be happy to point you to our favorite places we’ve found to explore. If you’d like to visit to my studio to learn the magic of needle felting or if you have any questions, submit the contact form below or give me a call at 541-592-3499. 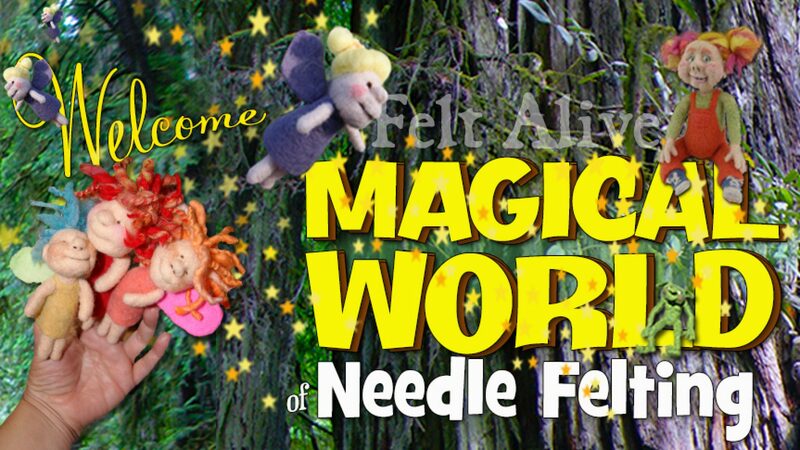 We hope to see you here for live needle felting classes with Felt Alive!